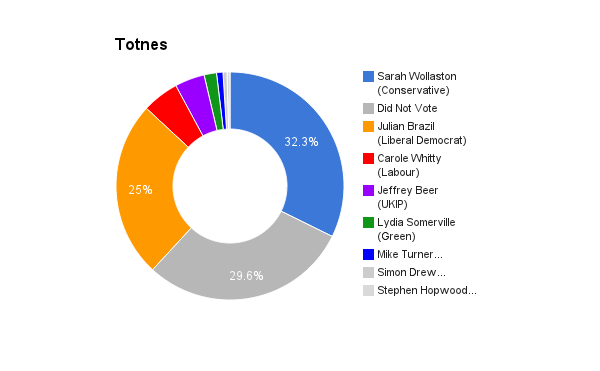 Totnes is a Devon constituency. The seat was created in 1997. The current member of parliament is the Conservative Party’s Sarah Wollaston who has represented the constituents since 2010. I moved to Devon in 2011 to study at Schumacher College, Dartington, building on my knowledge of social justice, employment, education, land use, biodiversity, and climate change. I fell in love with the South Hams, and now live in Staverton with Peter, my partner of ten years. I work with ethical organisations developing team and leadership skills, and I have a coaching practice. I’ve written a book, Hearing our Calling, about work that benefits rather than damages people and planet. I stand for a politics of compassion not corruption; collaboration not bickering; service not personal gain. I’m standing for the Green Party because I think we all deserve better than this tired and corrupt political system. Many disillusioned people are telling me they’ll vote Green this time. Some still adhere to the parties they’ve traditionally voted for, and some decent people are standing as candidates. But their leadership has deserted and disappointed by selling out to the wealthy and powerful. I’m committed to wellbeing, equality and the environment. I’m standing for the Green Party because it alone is free from party whips, lobbyists and corrupt corporations, and is working for the Common Good. Voters need to feel their vote counts and their opinion counts, rather than that they are being ‘done to’ by politicians. This means true dialogue via email, telephone, snail mail and good old conversation. But it also means holding workshops, conversation cafes and policy discussion groups around the constituency to ensure that people’s concerns are heard and discussed. I would give politics back to people. This constituency is packed full of people with knowledge, experience and ideas, and it makes sense to draw on them! I will contribute to moving politics away from the tired, corrupt system we currently have. I will address climate change, which other parties seem to increasingly ignore, the closer the threat gets. As a Green MP I won’t be subject to party whips, but will be free to vote for and enact policies that benefit the greater good, in the Totnes Constituency and beyond. South Hams is rich in beautiful places, good soil, decent people and innovation. 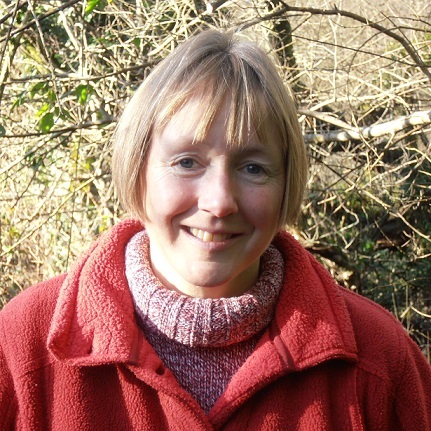 The Green Party has policies that benefit everyone, and are particularly aligned with what so many in the Totnes constituency are striving to achieve in bringing about a better, healthier, fairer world. She has sometimes voted against the government, and so has a reputation for being more ‘her own woman’ that some other Tories. She has created many strong relationships locally and has got involved in local issues. She has a comprehensive knowledge of healthcare and works hard in this area. She has been pushing for reform of Westminster, criticising its lack of diversity, which is positive. However, she has voted in favour of nuclear weapons, the bedroom tax, bankers’ bonuses and killing badgers – all of which I disagree with. Austerity is clearly not working. It is making those above a certain line wealthier, and those below it (the majority of us) worse off, creating a two tier society, and encouraging greed and selfishness. It is abandoning those who are disadvantaged, and with the introduction of sanctions we’re seeing a return to pre 1930s treatment of the less fortunate in our society. Austerity is returning us to the Dickensian society we all abhorred. This is happening in the sixth wealthiest nation in the world. There is simply no need for austerity as it is currently enacted, while corporations and wealthy individuals are allowed to avoid paying taxes. However, we only have one planet and we are racing through its resources and its biodiversity at an alarming rate. We all need to live within the means of our planet, and if wealth is distributed more evenly we can do this and all be comfortable. Neither. Immigration isn’t vital for the UK, but it does bring great benefits in terms of sharing skills and being enriched by cultural diversity. I believe it is a very good thing that we are all, as Europeans, free to move and work within Europe. Immigration for ‘benefits holidays’ other exploitation, or intention to do harm is obviously not beneficial to our country, and resources should be focused on preventing this type of immigration. Those fleeing from starvation or violence should be welcomed and supported, but we also need to see the bigger picture in terms of why migrants come: often either because their countries are at war or in dire poverty (often exacerbated by the rich West). Being the sixth wealthiest nation in the world comes with its responsibilities as well as its privileges, otherwise we start to lose our humanity. The wealth gap needs to be closed by a long way. In many corporations and even public sector organisations, those at the top are earning several hundred times more than those at the bottom. The Green Party would close this ratio right down to a maximum of 10:1, and I would argue that it should go further. Some of the most vital work there is – caring for people’s health and providing food, for example – is valued least highly. So food production should be valued; good food isn’t cheap. But everyone should be able to afford it. We will cut energy bills through free insulation for all homes, and by investing in community-owned renewables schemes rather than the market-driven fossil fuel industry. Rent can be ridiculously high and the Green Party has a range of measures including more social housing, rent caps, and ending Right to Buy and tax subsidies for buy to let landlords. The first thing that needs to happen is a reinstatement of the NHS as a service paid for by the public, free at point of use to the public, and accountable to the public. The profit motive needs to come right out of healthcare. More funds need to go to frontline care and essential support services, and less to expensive contracts (who often have direct financial links with MPs) unnecessary bureaucracy and over-administration. Also we need to consider the bigger picture: societal problems have led to the proliferation of a wide range of mental and physical health issues, particularly amongst the young. Society is becoming sicker, and has been made so by many features of the neo-liberal society such as its stressful education system, its obsession with consumerism and growth, the breakdown of community, a lack of meaningful work and so on – all addressed by Green Party policy. Work and economy need a complete re-evaluation, as I have written in my book Hearing our Calling. There is no shortage of need in the world: there are renewable energy infrastructures to research, build and run if we are to avoid catastrophic climate change. There is damage to ecosystems, soil and biodiversity to put right if we are to maintain the fragile web of life that keeps us alive. There are millions of people to feed, clothe, house, keep warm, and keep healthy. And there is art and entertainment to be created for our cultural enrichment. There’s no shortage of work. We simply need to value work that meets the needs of people and planet, rather than work that makes a wealthy few wealthier. Goods and services need relocalising so that every community has plenty of work in meeting its needs – as well as work that engages in a wider context. Yes, of course! The Green Party has more robust policies around diversity than any other party. We are proud, for example, that the majority of our leaders are women. We believe this is one of the reasons why we’re able to offer a very different version of politics to the jeering and insult trading we see at the moment. No wonder people feel so let down by politics. We need to see more minority groups of all kinds represented in parliament. But we also need more diversity of thinking styles and life experiences; and far more emotional intelligence than the ability to fight with empty rhetoric, which sadly even the pubic are now beginning to use to benchmark and assess the quality of their politicians. I would encourage a referendum, as the Green Party adheres meticulously to its principles of democracy. However, I would be encouraging constituents to vote to stay in Europe. We are now a global society, and there is no going back from that. Trade, social media, all areas of life mean that we live truly internationally today, and that trend will only increase. It’s therefore vital that we have a voice at all levels as appropriate for each issue. We need to be part of global talks about peace and climate change, for example. We need to be part of Europe to address such issues as distributing energy through a smart grid, collaborating on healthy oceans and agreeing high animal welfare standards. However the EU needs reform: e.g. decentralisation and less admin.